This Arum Lily is growing in the Botanic Gardens at Colac a short distance from where I live. There had been early morning rain, and the sky was still overcast when I walked through the gardens. 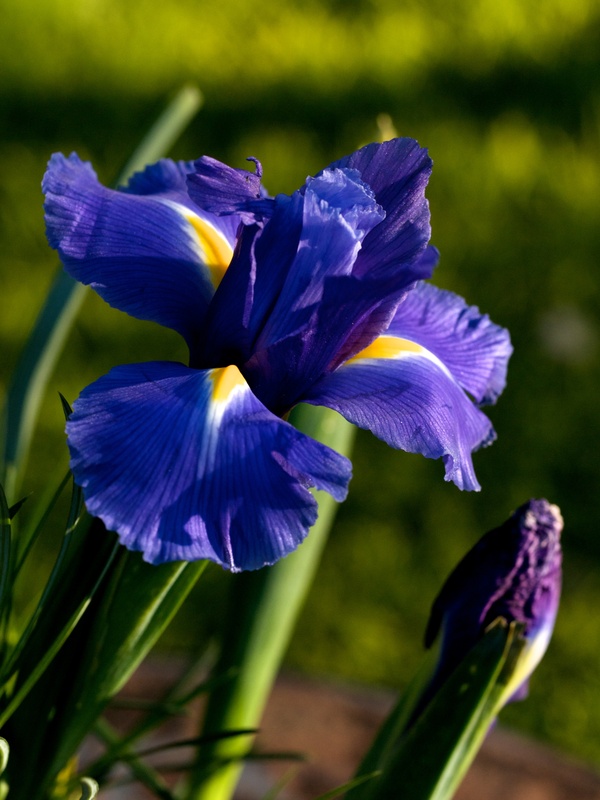 Experience has taught me that these conditions are excellent for flower photography. 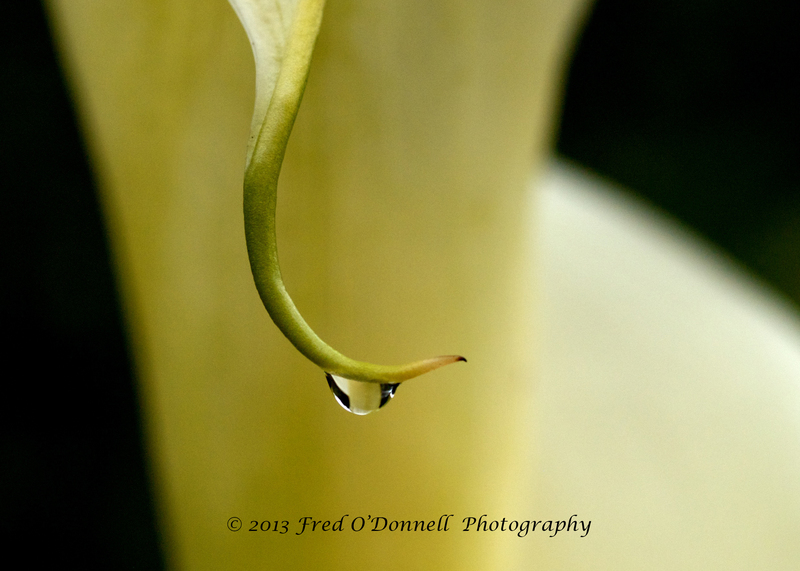 Arum Lily – with a drop of water. 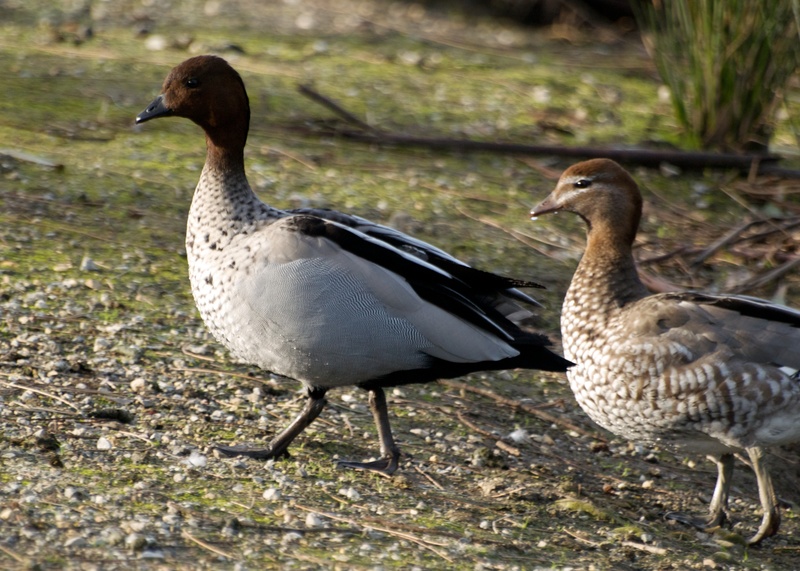 The following images are of Australian Wood Ducks (Chenonetta jubata) which were taken at the Erskine River, which is located on the Great Ocean Road near Lorne in Victoria, Australia. The Wood Duck is also known as the Maned Duck. They are described as “goose-like” ducks with a dark head and pale body. The male’s head and neck brown and has a short mane. The female has a whitish line above and below the eye. Their body size is about 44 – 50 centimetres. 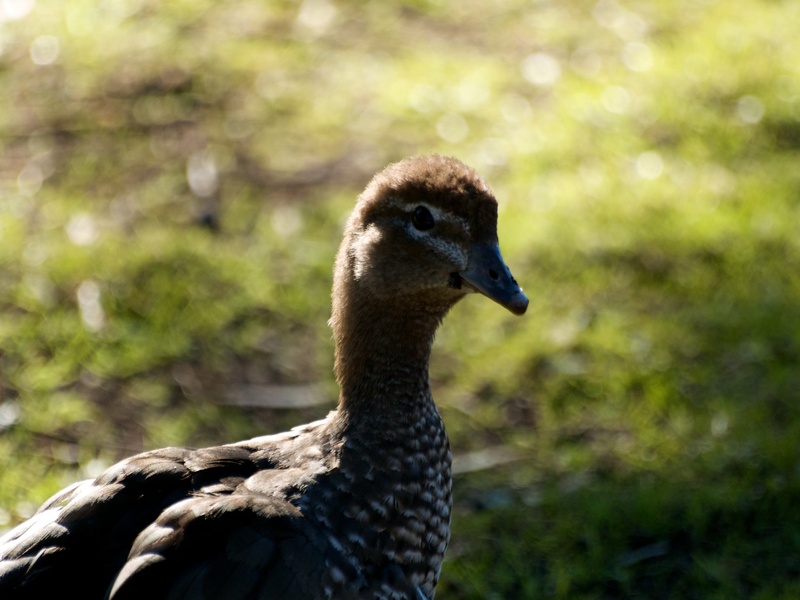 A female Wood Duck which appears to have a broken wing. In the next photo the Wood Duck is clearly identified as a female: It has a lighter coloured head and neck with the two white lines above and below the eye. In the next image it is easy to see the short mane on their neck. A mated pair going for a walk. Wood Ducks build their nests in tree hollows between July and March, and, when nesting often perch on tree branches. 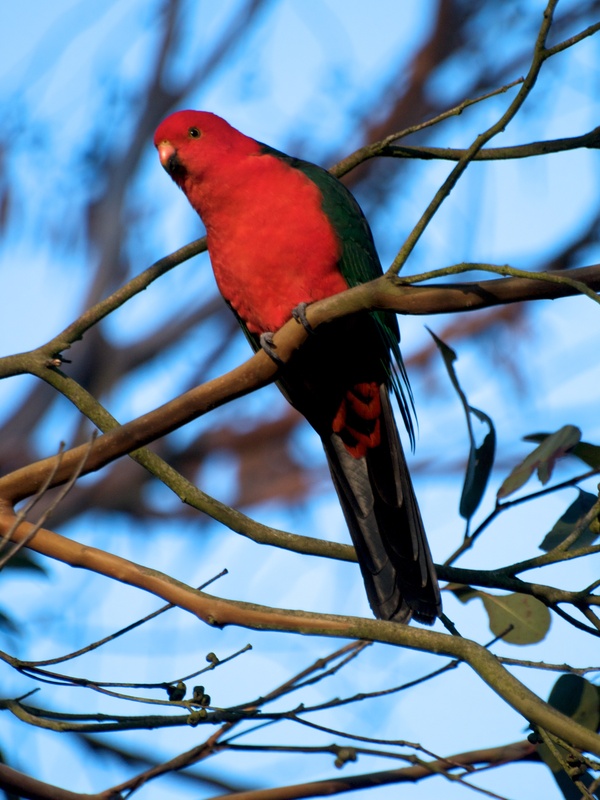 They are native to Australia and will be found at freshwater wetlands, grass lands and also lightly wooded areas. They are herbivores. They are not considered endangered but are locally abundant. 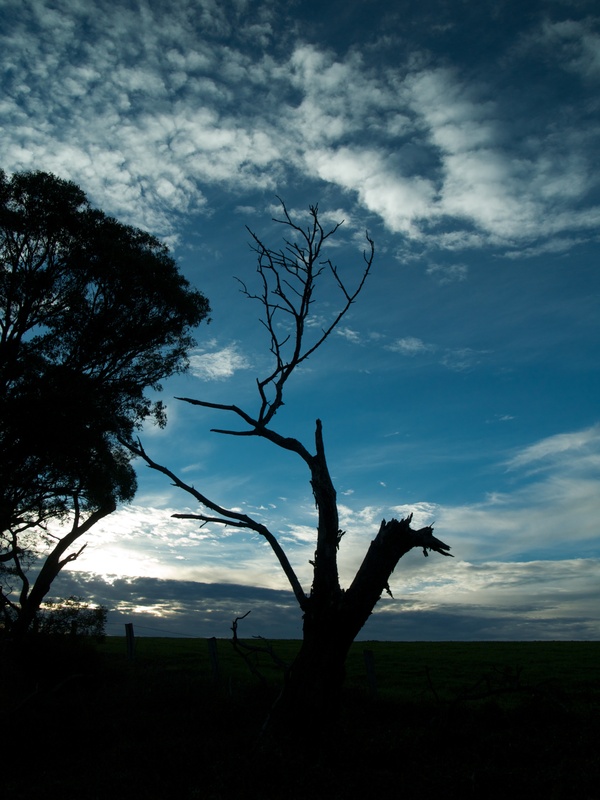 On Tuesday I was fortunate to be able to return to Jawbone Fauna and Flora and Reserve to observe the birds. I was only able to stay a short time, besides the numbers of birds seemed to be much less than my last visit. 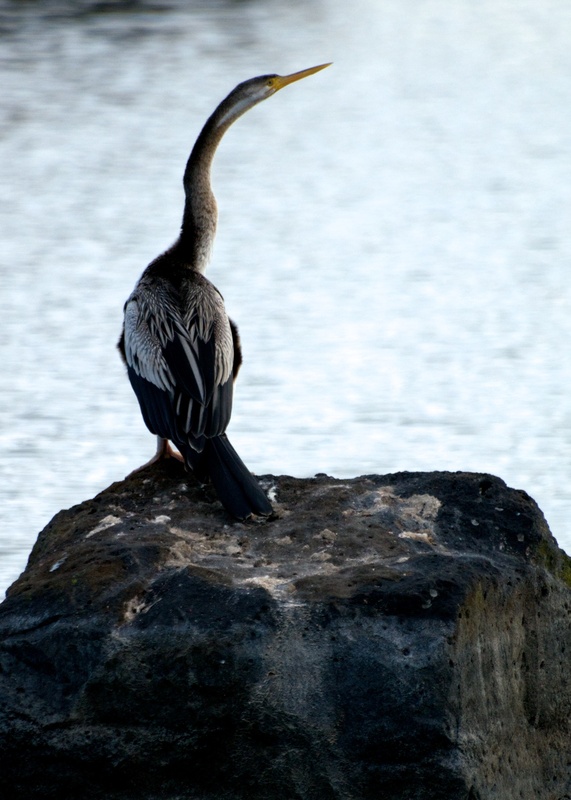 However I was able to take a photograph of a female Darter sitting on a rock. 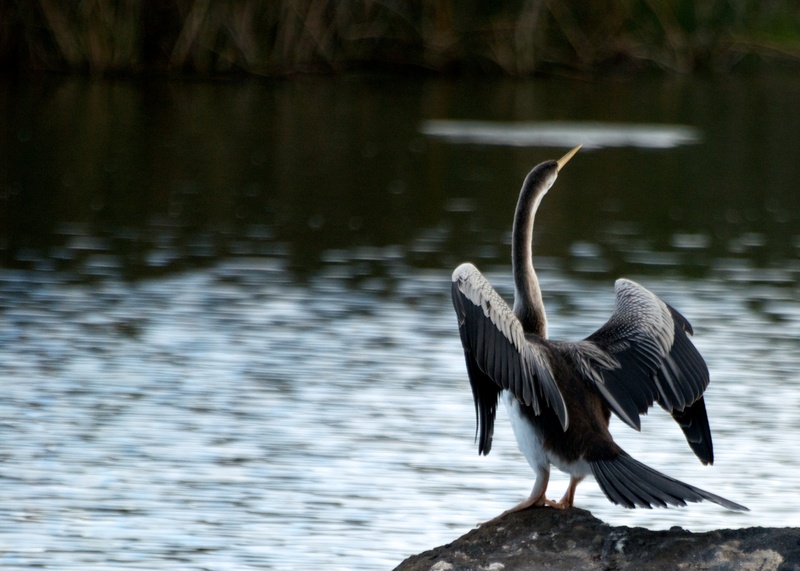 The darter (Anhinga melanogaster) is an Australian native bird found near wetlands and rivers. It has a very long neck and Darters hunt their prey by spearing fish with their pointed bill. They are carnivorous. 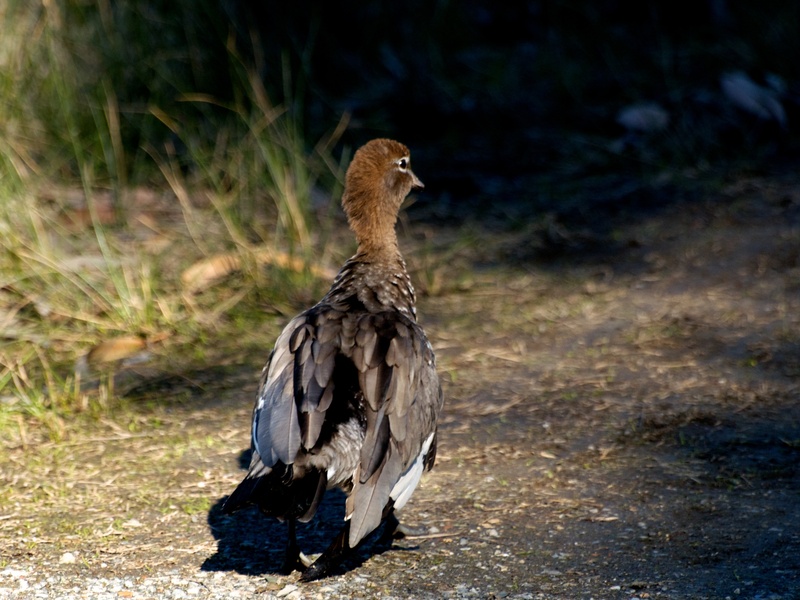 The male has an all black body while the female is pale brown with a white stripe along the side of the neck. The body can be up to 90 centimetres long. Female Darter – Here it is hanging its wings out to dry! The darter can often be seen soaring at a great height. They are not considered endangered; but, are moderately common. I have just returned home after spending a few days at the seaside resort town of Lorne, on the Great Ocean Road, in south west Victoria, Australia. Although we are in the middle of our winter, the days were bright sunshine, and I was able to spend several hours out and about with my camera. 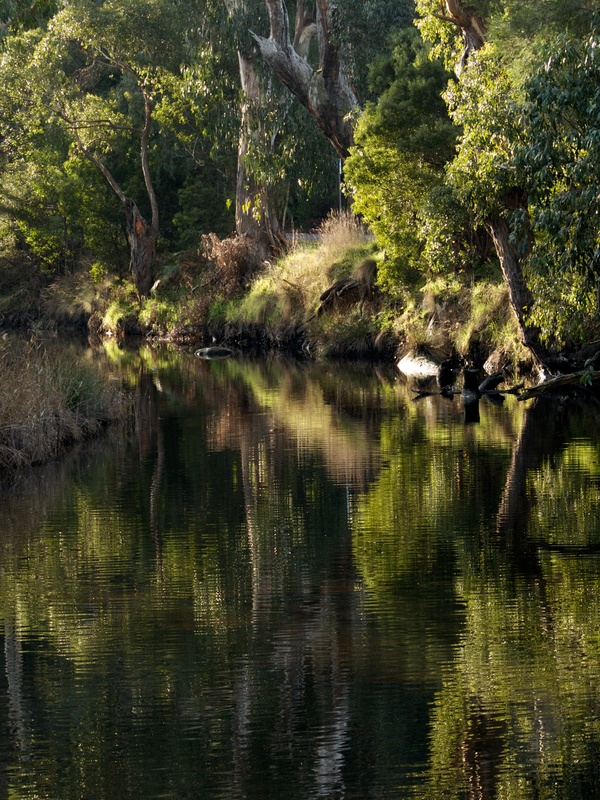 Yesterday afternoon I was on the bank of the Erskine River doing some bird photography, and when I saw this scene, I knew I just had to capture it! Photographers, like writers, often need inspiration to complete their best work. 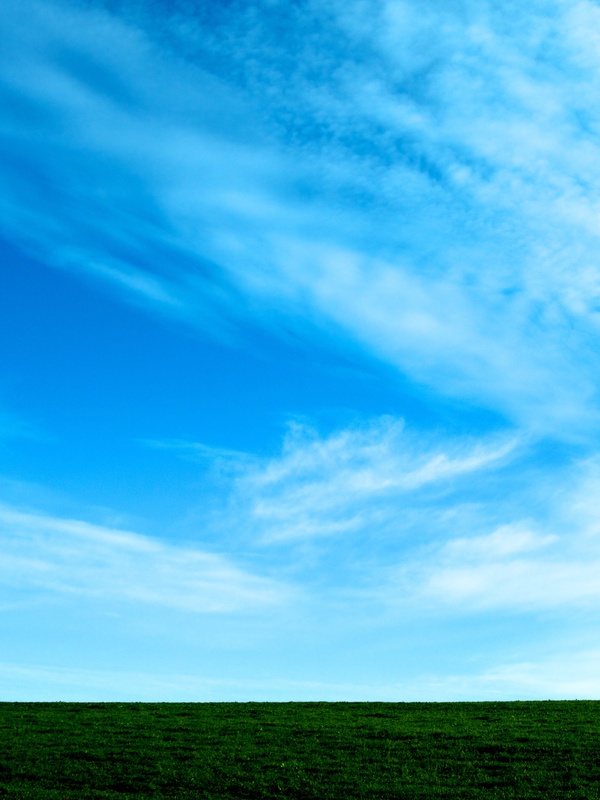 My inspiration comes from a woman who shares her calmness and serenity; her deep inner beauty – Mother Nature. The Crested Pigeon (Ocyphaps lophotes) is a native Australian bird with a body length up to 35 centimetres. They are omnivores and will be found in open grasslands, woodlands and parks. They are not considered endangered and will be found in most areas of Australia, particularly in towns situated in grain crop areas. 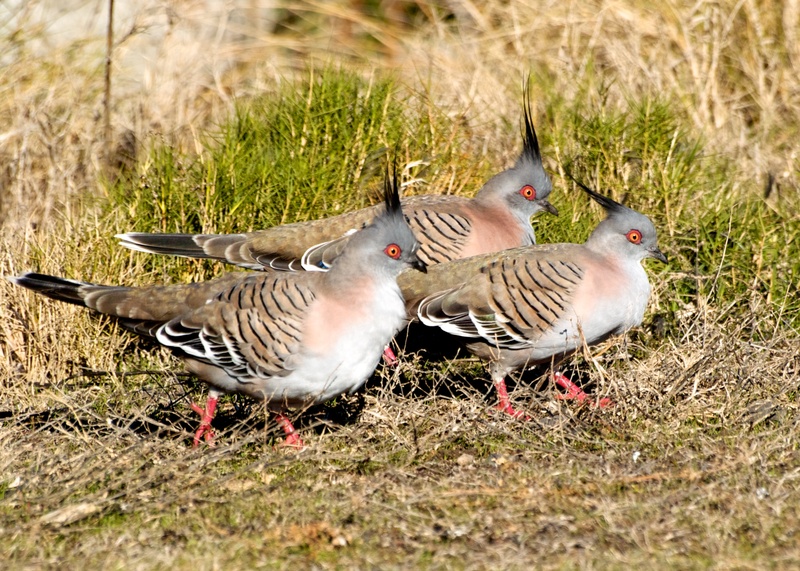 Crested Pigeons at Jawbone Fauna and Flora Reserve. Crested Pigeons are easily recognisable by the long, slender upright black crest. 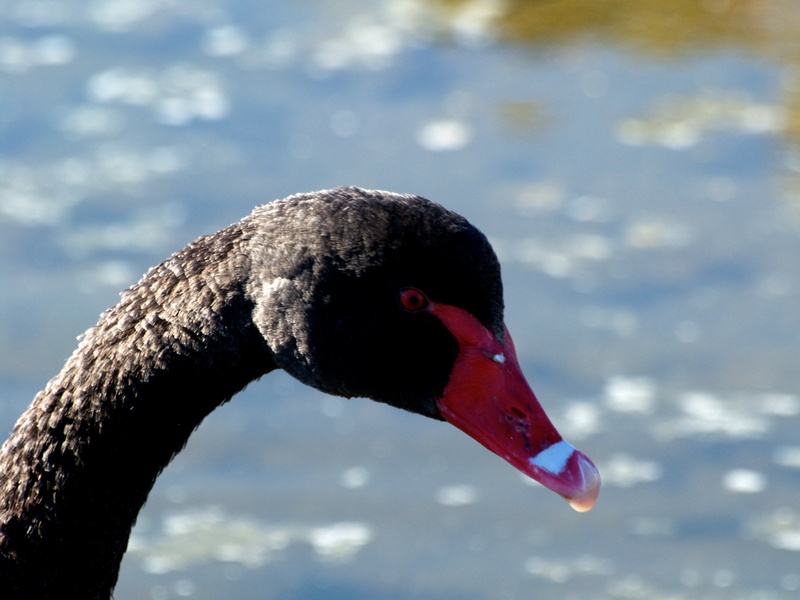 The Black Swan (Cygnus atratus) is a very large bird (110 to 142 centimetres) with a long slender neck. It has white tipped wings which span 160 – 200 centimetres approximately and weighs about 3.7 to 9 kilograms. The Black Swan has black legs and feet. They are monogamous breeders that share incubation duties and cygnet rearing between the sexes. A pair will remain mated for life. 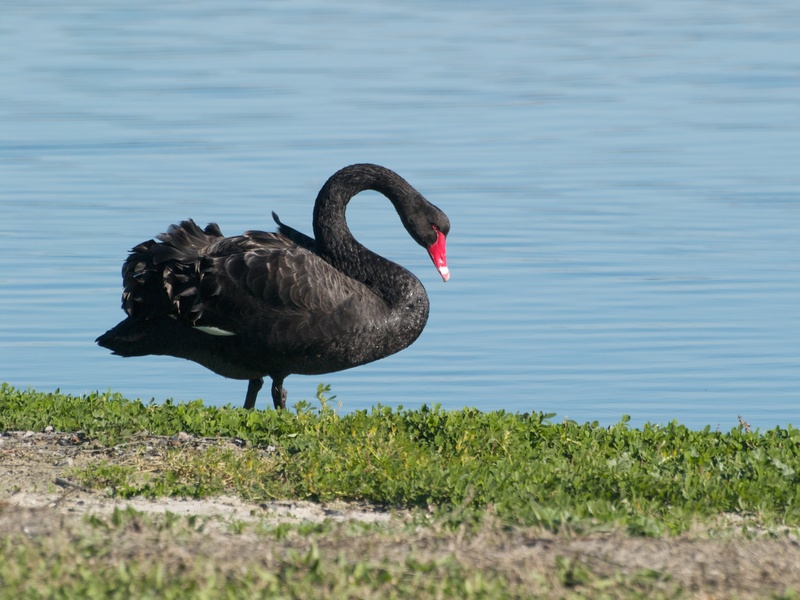 The Black Swan is mainly herbivorous, with the diet being mainly dominated by marshland and aquatic plants. 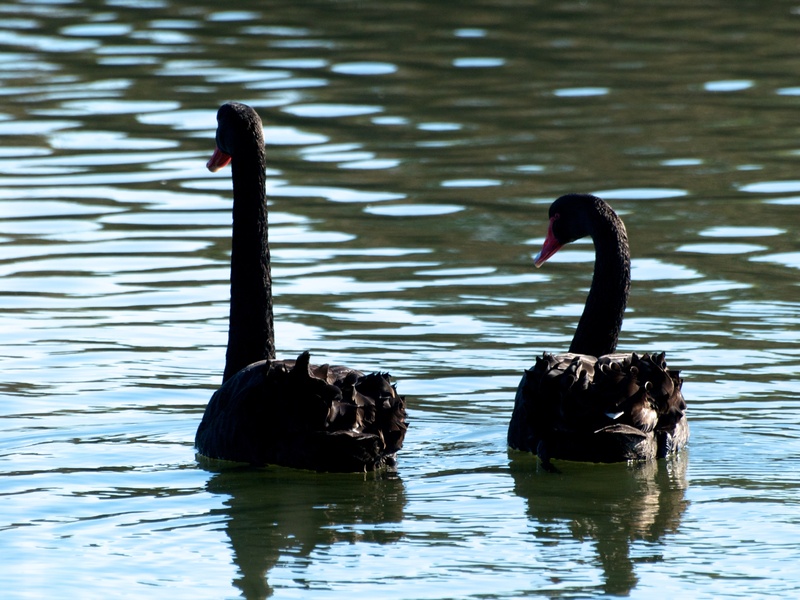 A mated pair – Black Swans remain together for life.